Blizzard's popular MOBA Heroes of the Storm recently got a substantial update which updated existing characters and introduced the Dialbo III's Monk, who naturally has his own menu screen to reside in outside of the game itself. It's in this menu screen that Blizzard has chosen to hide a special Duck Hunt Easter Egg. 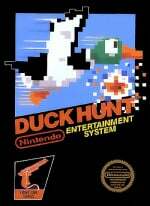 After clicking on the trees, a duck will come out and you will have a few bullets to hit it. Spamming mouse clicks won't work. Hitting it with one of the first few shots grants more points. If you miss all shots, the duck will "fly away". Rounds become more difficult as you progress, with Ducks moving ultra fast! Are you a Heroes of the Storm player, and if so, have you found this particular feature yet? Let us know by posting a comment below. Never heard of this, thought it was a Heartstone add-on (too much Destiny in the news lately, well not on here but everywhere else). But then again I only found out what MOBA stood for yesterday when Nvidia announced its new card. I'm about 4 gens behind there too. @PinkSpider They play the game and fidget while waiting for a party. For bonus points, the dog should've been a Zergling. Still neat though. EDIT: OK so it's not a dog... I'm not terribly familiar with Diablo or Warcraft, so, I'm not sure what it is. Ah, cool little Easter Egg! @DarthNocturnal It's a Treasure Goblin, from Diablo. They could've used a Zergling or perhaps better yet, Rehgar's Ghost Wolf form. Any of the three would be appropriate for HotS, though. And it even laughs at you if you miss! Haha. Nice. Just played around with it. This is the go-to game for my wife and I to play together. We played a DOTA variant called Battle Tanks for a long time, even in a clan for a bit and were decent. This started back in the highly creative Warcraft III custom map days where tower defense and MOBAs were invented. 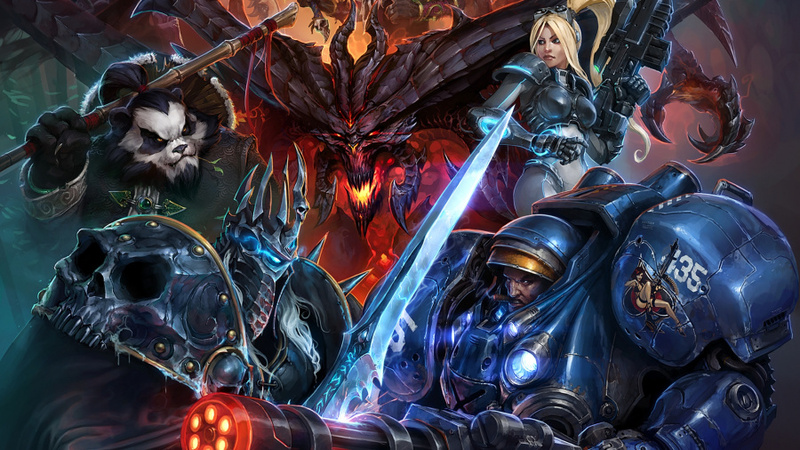 Heroes of the Storm is the first MOBA since then that we enjoyed. DOTA has always had a toxic community and League of Legends bored us from the start. HOTS does a great job of finding the fun in the genre and keeping the game time manageable. The just-one-more factor is very strong for us at least. @rjejr Blizzard games have traditionally scaled well to older machines. Give it a whirl, it's free to play. @aaronsullivan - That reminds me, I don't know what DOTA stands for either. I get the felling these games aren't for us. Thanks though. It's why the term MOBA stuck better than the competing genre term for the same type of game: Action RTS. MOBA rhymes with DOTA and both have the long-O sound. Video game history lesson for the day! Seriously, though, Heroes of the Storm is incredibly approachable and the in-game training gets you started very easily. You don't have to know anything about it, other than you have to play it on a computer. @aaronsullivan - That seriously was a lesson, so much in there I don't know. Is Warcraft 3 a major one in tournaments? I used to watch Warcraft tournaments w/ my kids on TechTV to teach them about RTS games but I'm not sure what version it was, only that it wasn't WoW. We played one on the PC, I don't recall much except it mostly took place on a series of islands. After Blizzard's Starcraft pretty much started professional video gaming (thanks to South Korean internet cafes), Warcraft III came out and tried to do the same thing with only moderate success. (Loved that game, though!) Those were probably the peek of RTS gaming before it waned somewhat, though Starcraft 2 remains pretty strong. MOBAs are really a variation on those types of games. Less directly controlled units (mostly just one per player) and a focus on getting to the action right away with no town to build. The strategy can get just as deep in some of them, though. I love HotS. I haven't played it for a few months though (having access to a PC is kinda hard for me) so I haven't tried the monk yet or even but when I do I will try this trick out. I am hoping that Blizzard would port this to the PS4, but I doubt they will. So what does MOBA stand for? Multiplayer Online Battle Arena. Control one or a small handful of characters with multiple abilities in an RTS setting. Your "base" or NPC/A.I. defenses/offenses are set up for you from the start. It's a very approachable/friendly set up. Man, that's a fast duck! Funny easter-egg! Looks like a new Hero just announced has a Samus themed skin. Dunno how to post to forum so i just post it here It looks really good!